Using Red Hat® Ansible® Engine, developers and IT operations teams can easily and quickly deploy IT services, applications, and environments. 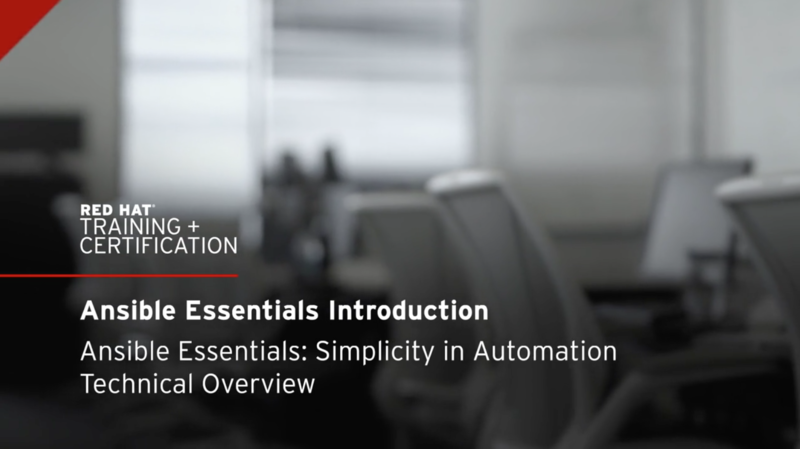 Ansible Engine is the simplest way to automate your IT infrastructure. Ansible is an automation solution that acts as a resource provisioner, configuration management tool, application release automation, and can provision and manage entire application and infrastructure environments. Users are able to model their environment in human-readable Ansible "Playbooks". Playbooks generate a comprehensive plan of how all of systems in the infrastructure interrelate, rather than just managing one system at a time. Finally, Ansible is completely agentless, so no additional custom security infrastructure is necessary. Create, update, and destroy virtual machines in a private datacenter hypervisor or instances in a public cloud. Also, manage resources, including virtual disks, network interfaces, load balancers, images, and more for these objects. Keep systems standard across your entire IT, cloud, and application infrastructure. After a host is provisioned, define the state based on groups and roles, which contain repeatable tasks and deliver templates to maintain the desired end state of your deployed environments. Release fast, release often. Once configured, deploy applications with ease and simplicity using the same Playbook language. Ansible modules can be used to configure states and work with common Application stacks, such as JBoss or Django apps (to name a few), leveraging their APIs to deploy built content from various Continuous Integration platforms. Easily build entire workflows to deploy nearly anything from infrastructure to applications to networks. Always know what the running state of your environments are, and enable the tracking of multiple baselines and versions-- all from simple Playbooks. With over 1200 enterprise integrations (in Ansible Project/Engine 2.4), Ansible automation can automate the tools, technologies, and infrastructure that you’re using today. And we’re adding more modules, more support, and more flexibility with every release. Centralize and control your Ansible infrastructure with a visual dashboard, role-based access control, job scheduling, and graphical inventory management with Red Hat Ansible Tower. Tower's REST API and UI make it easy to embed and extend Tower into existing tooling and processes; further extending the capability and reach of Ansible Automation. 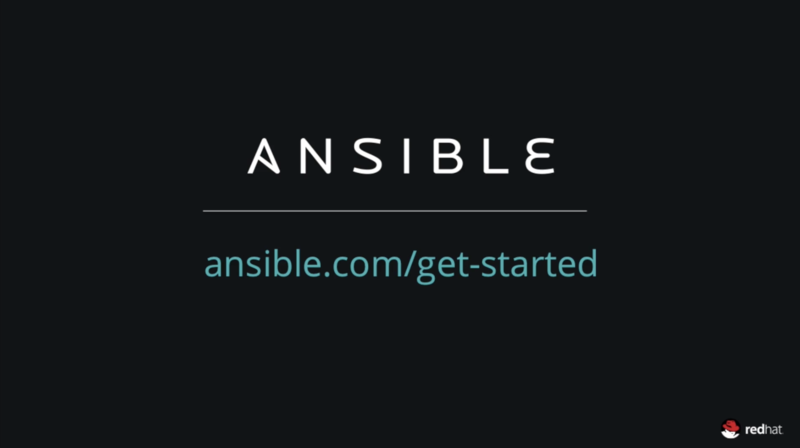 Install latest version of Ansible using the instructions given below. For your Control Node, your host should meet these system requirements. Installation should take no more than 10-15 minutes. Follow steps found here for your first commands.